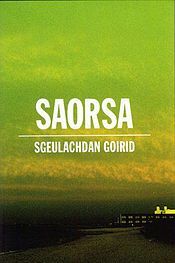 Tha mi uabhasach toilichte innse gu bheil sinn ag obair an-dràsta air leabhar-èisteachd de ACDD a thig a-mach uaireigin tràth anns an t-samhradh seo tighinn. Chuir CLÀR ACDD air adhart ann am farpais a chùm Foillseachadh Alba, ann an co-bhonn ris an Royal National Institute of Blind People agus Skills Development Scotland, anns an rachadh còig leabhraichean a thaghadh gu clàradh mar leabhraichean-èisteachd, agus nach do bhuannaich ACDD tè dhe na duaisean sin. Aibheiseach math! 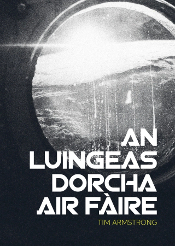 Agus nas fheàrr buileach, dh’aontaich Màrtainn Mac an t-Saoir gun leughadh e an nobhail. Tha Màrtainn cho tàlantach, an dà chuid mar sgrìobhadair agus mar chleasaiche; tha e a’ dol a bhith craicte fhèin math. 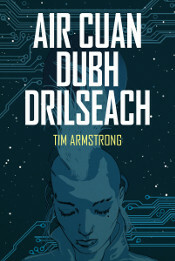 Tha Màrtainn air a’ mhòr-chuid a chlàradh a-nis, agus fhad ’s a bha e anns an stiùideo, bhruidhinn e fhèin agus John Storey ri Robert Kirkwood mun thionnsgnadh. Meal do naidheachd, a charaid. Is math an airidh!